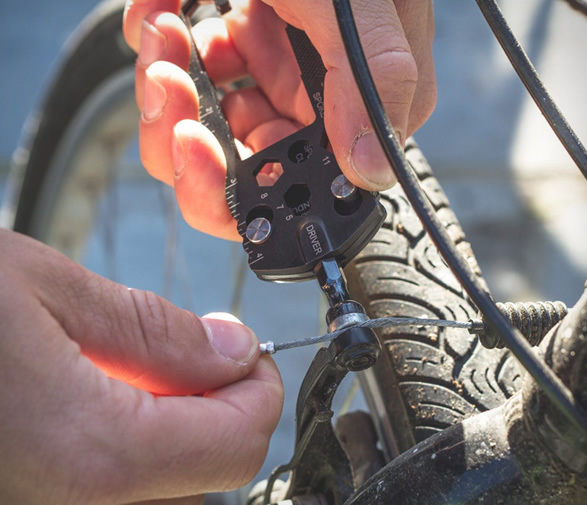 Bicycles are at a high point, they are hugely popular with modern urban commuters who love them because of their green side, the easiness on coping with chaotic traffic, and aiding you in keeping healthy and fit. 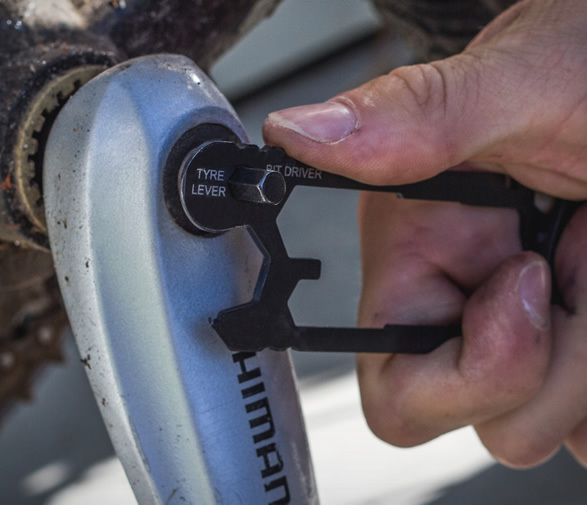 However, the more you use them, the more wear and tear you’ll get, so in order to keep it well maintained, you’ll need some tools to assist you on the matter. 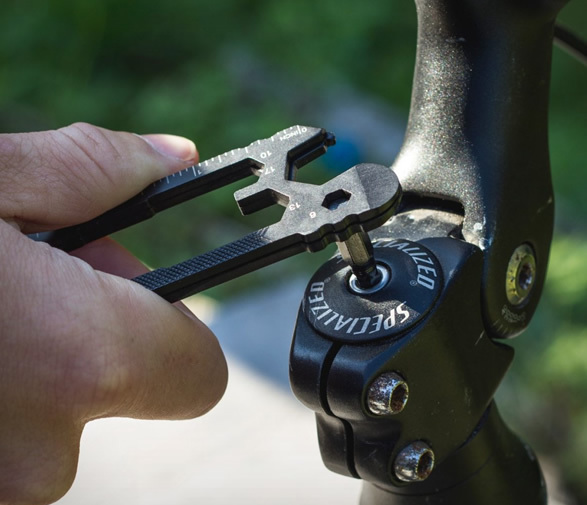 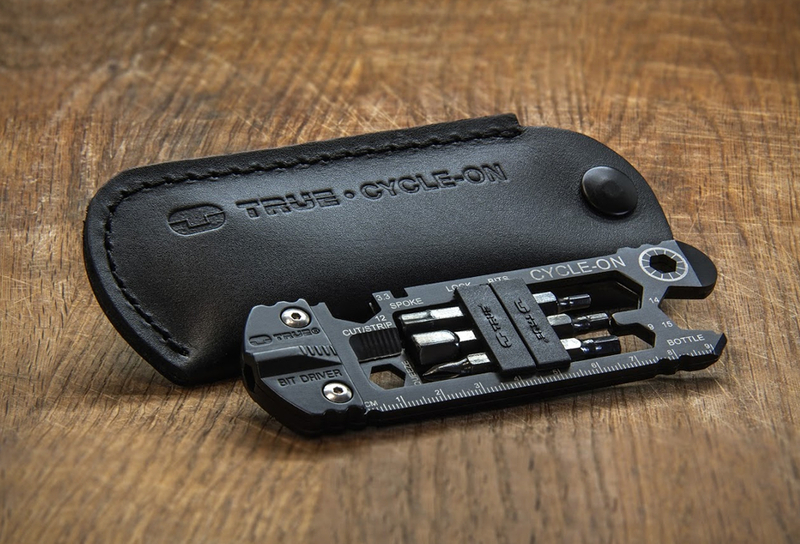 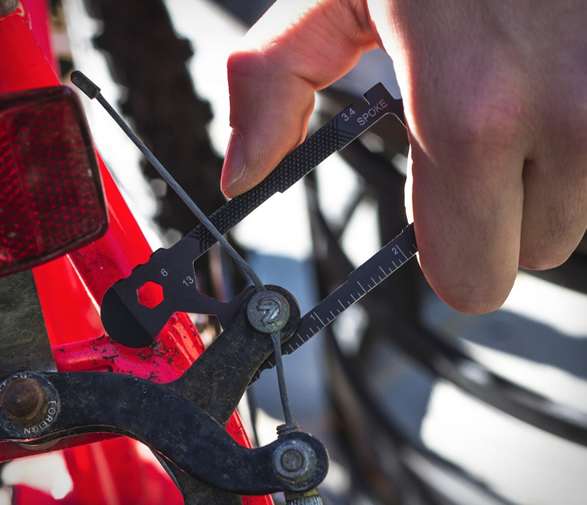 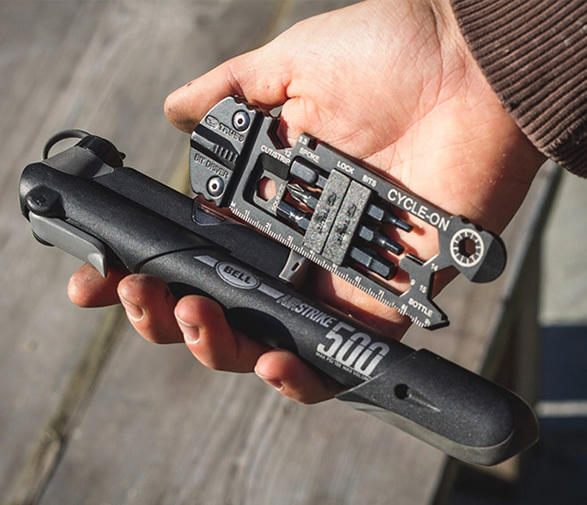 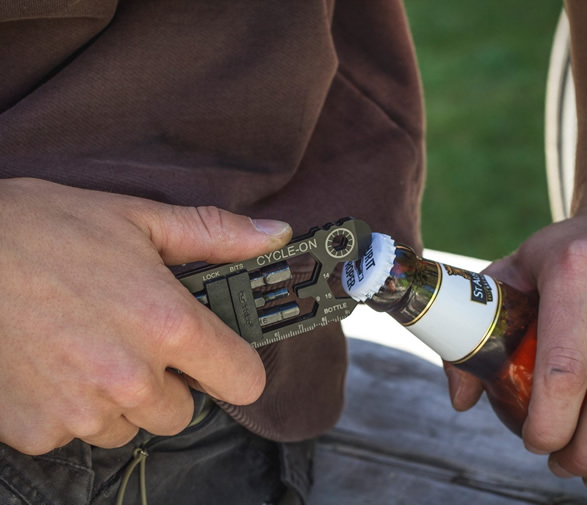 The Cycle-On Multitool by True Utility was made just for that, a simple, light yet durable set that has all of the most important tools you will need, in fact it packs 30 different ones! 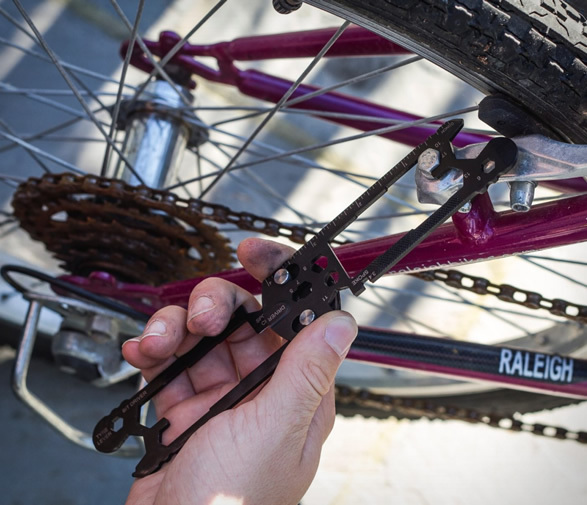 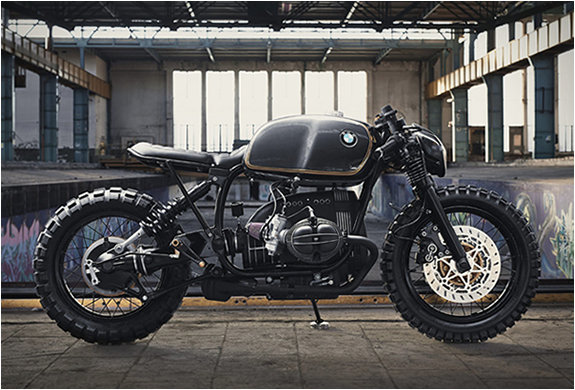 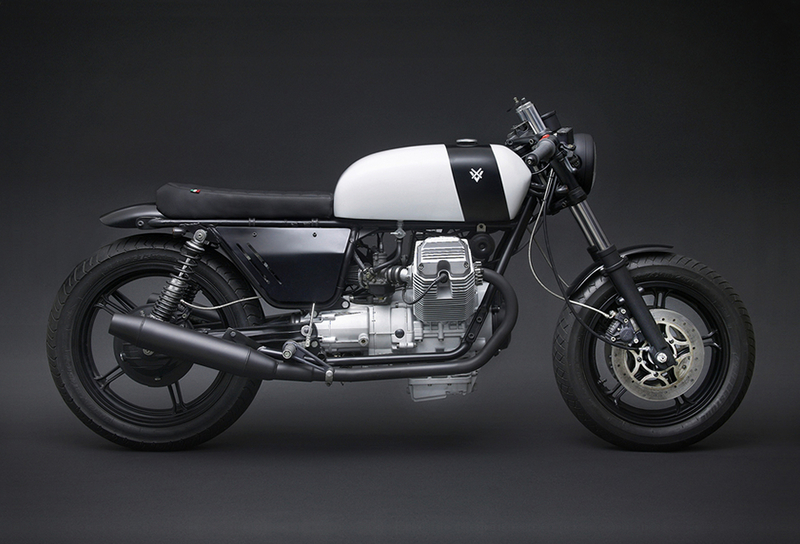 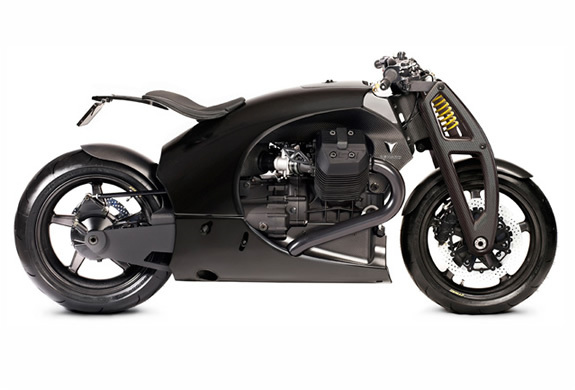 It features spoke wrenches, tire levers for when you get a flat, a wire stripper, a Phillips screwdriver and even a bottle opener along with some other relevant tools, all made from 420 high grade steel with a black titanium finish and organized in a credit card style that can be carried in its cool and handy leather pouch.